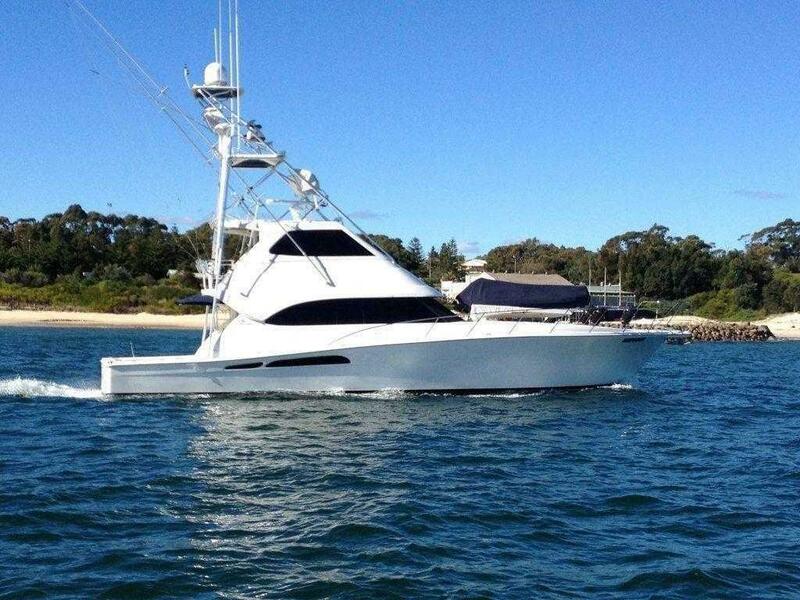 Riviera is Australia’s largest luxury boat building company. 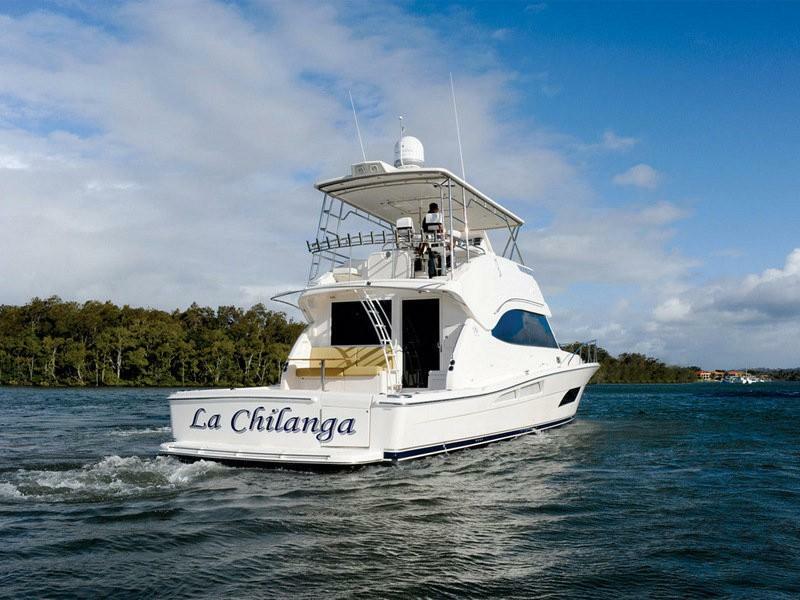 A leader in the global marine industry, Riviera builds luxury boats across 5 model lines: Open and Enclosed Flybridge, Sport Yacht, SUV series, long-range Sport Motor Yachts, and Belize Motoryachts. Riviera exports more than 50% of its annual production to a dealer network spanning more than 60 countries. 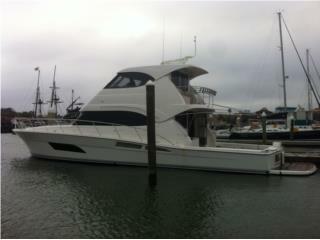 Riviera yachts are admired for quality, style, innovation, and sea-keeping ability. 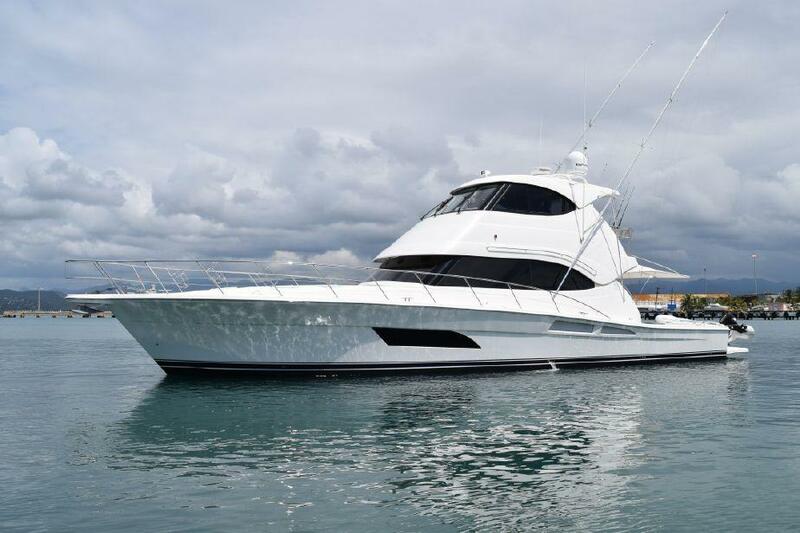 Riviera 32 Flybridge 1989 - Current 30' 0" 10' 10" 3' 6"
Riviera 33 Convertible 1992 - 1997 33' 0" 12' 6" 2' 7"
Riviera 34 Convertible 1997 - Current 34' 0" 13' 4" 2' 7"
Riviera 3350 2002 - Current 35' 3" 12' 4" 3' 3"
Riviera 36 Convertible 2000 - Current 36' 0" 13' 5" 3' 5"
Riviera 33 Convertible 2005 - Current 37' 3" 12' 7" 3' 3"
Riviera 3600 Sport Yacht 2007 - Current 38' 6" 12' 7" 3' 3"
Riviera 39 Convertible 1994 - 1999 39' 4" 14' 6" 3' 7"
Riviera 37 Convertible 2001 - Current 42' 11" 13' 10" 3' 5"
Riviera 4000 Offshore 1998 - Current 44' 7" 14' 4" 3' 11"
Riviera 40 Convertible 2001 - Current 46' 4" 14' 11" 4' 1"
Riviera 43 Open Flybridge 2000 - Current 47' 5" 15' 0" 3' 8"
Riviera M430 Sports Cruiser 2001 - Current 47' 8" 15' 5" 3' 4"
Riviera 445 SUV 2013 - Current 47' 5" 15' 0" 3' 8"
Riviera 43 Convertible 1996 - Current 48' 6" 15' 8" 4' 2"
Riviera 4400 Sport Yacht 2008 - Current 49' 7" 15' 0" 3' 8"
Riviera 42 Convertible 2004 - Current 50' 10" 14' 11" 4' 2"
Riviera 51 Flybridge 2003 - Current 51' 0" 16' 2" 4' 0"
Riviera 45 Convertible 2008 - Current 51' 3" 15' 9" 3' 11"
Riviera 45 Open Flybridge 2008 - Current 51' 5" 15' 9" 3' 11"
Riviera 47 Convertible 2003 - Current 53' 1" 16' 1" 4' 5"
Riviera 4700 Sport Yacht 2006 - Current 53' 1" 15' 4" 4' 2"
Riviera Marine 51 2004 - Current 54' 8" 16' 2" 4' 6"
Riviera 54 Daybridge 2012 - Current 54' 1" 16' 6" 3' 6"
Riviera 54 Sedan 2012 - Current 54' 1" 16' 6" 3' 6"
Riviera 48 Convertible 1993 - Current 54' 0" 16' 0" 4' 7"
Riviera 5000 Sport Yacht 2010 - Current 54' 9" 15' 7" 3' 11"
Riviera 515 SUV 2014 - Current 56' 8" 16' 5" 3' 10"
Riviera 52 Enclosed Flybridge 2014 - Current 56' 8" 16' 5" 3' 11"
Riviera 51 Convertible 2004 - Current 58' 2" 16' 2" 4' 6"
Riviera 53 Enclosed Flybridge 2012 - Current 59' 8" 16' 10" 4' 10"
Riviera 565 SUV 2013 - Current 60' 9" 16' 10" 4' 3"
Riviera 57 Enclosed Flybridge 2014 - Current 60' 8" 16' 10" 4' 1"
Riviera 6000 Sport Yacht 2014 - Current 63' 4" 17' 8" 4' 5"
Riviera 58 Enclosed Flybridge 2003 - Current 64' 5" 17' 9" 5' 2"
Riviera 60 Flybridge 2006 - Current 64' 5" 17' 9" 5' 2"
Riviera 63 Flybridge 2013 - Current 66' 8" 17' 9" 5' 2"
Riviera 75 Enclosed Flybridge 2013 - Current 80' 3" 20' 9" 5' 7"
Riviera 77 Enclosed Flybridge 2014 - Current 81' 2" 20' 9" 5' 12"
Riviera is the largest luxury boat building company in Australia and a major player in the global marine and yachting industries. 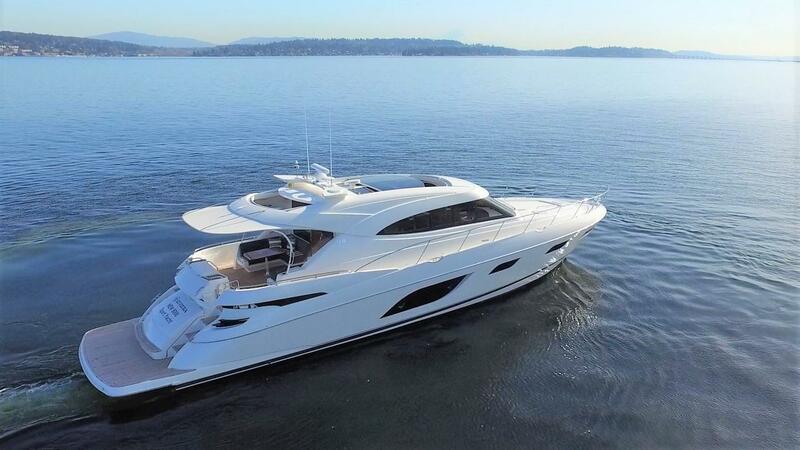 Today, the company builds luxury boats from 36 to 85 feet in length across five lines: Open and Enclosed Flybridge, Sport Yachts, Offshore Express and Motor Yacht models. Founded in 1980, Riviera now operates from the largest luxury boat building facility in the Southern Hemisphere, a 14-hectare state-of-the-art waterfront site at Coomera on Queensland’s Gold Coast. Riviera Yachts exports about 50% of its annual production to a dealer network that now spans more than 30 countries. The name Riviera is synonymous around the world with quality, style, innovation, sea keeping ability and value. 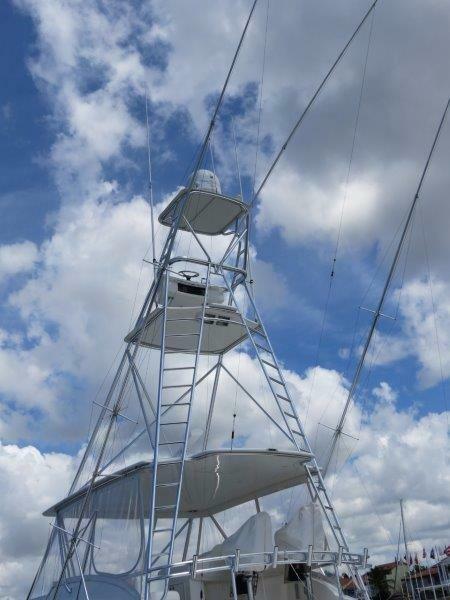 The company’s primary objective is to continue to deliver outstanding boating options to its ever-increasing owner base. Riviera is focused on delivering exciting new models and fresh innovation in terms of the design, performance, interior fitout and quality of its boats. To achieve this, the company invests millions of dollars each year in technologies, staff skills and production capabilities. The company employs the latest CAD/CAM (computer-aided design/computer-aided manufacture) technologies to develop and mould its boats. Infusion moulding technologies are increasingly used to manufacture hulls and components, ensuring superior quality, consistency and strength. A high technology automatic varnish system, operating in an entirely dust-free environment, is used on interior joinery, ensuring consistently high quality. These technologies also improve the working environment and reduce emissions.